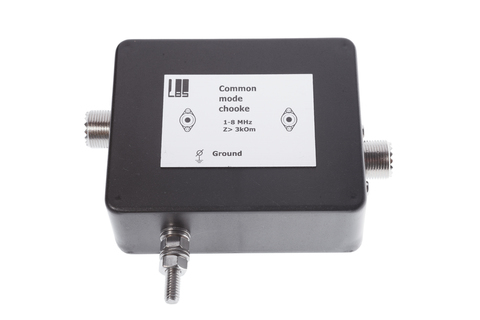 Common Mode Choke removes unwanted noise and signals from the feedline of your receive antenna. It is a “Must have” to keep your radio's noise floor low and quiet! 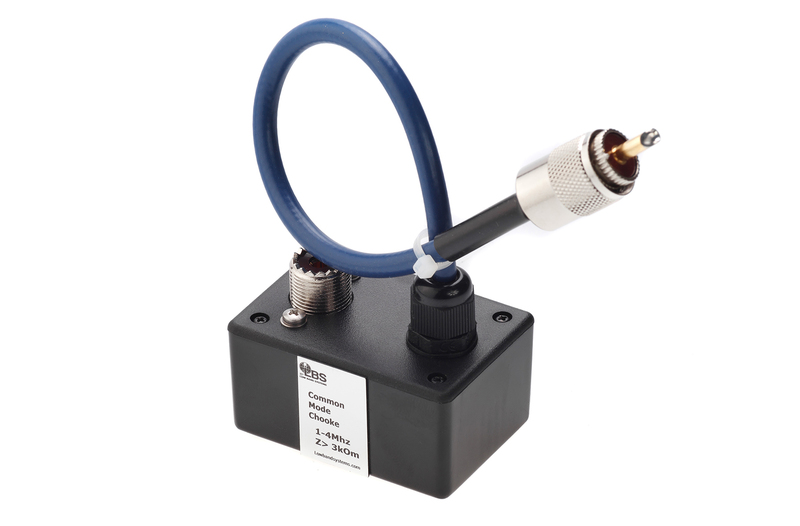 Especially helpful for feedline runs above the ground, this device is designed to offer a high impedance path to unwanted signals riding on the shield of the coax, preventing them from entering your radio. The common mode impedance of this choke is greater than 3,000 ohms between the input and output shield terminals. 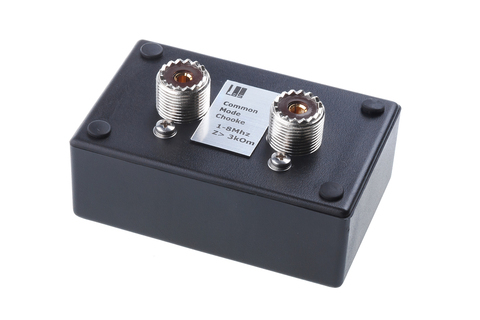 Connect the Common Mode Choke output directly at your receiver or receive antennas remote relay switch. Connect the house end of the receive antenna feedline to the input of Common Mode to keep your radio's noise floor low and quiet!